With the great NFC race looming, Google is axing support for QR Codes in their Places service. QR codes made a noble play for the hearts and minds of nerds, but honestly, I hope this is the first step towards their complete and utter annihilation. 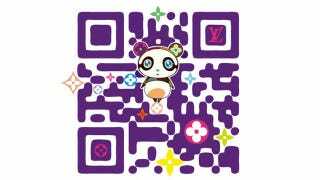 When QR Codes were first introduced to the masses, they were a novel concept: you saw a weird looking digital pattern confined by a square box. You took a photo of it with your phone. It then launched whatever app/website it told your phone to and you were then informed. In theory that sounds fine. In actuality, it was an unrefined technology with an unsatisfying end reward (more often than not). First you had to spend time firing up your camera, or whatever QR-compatible app made use of your camera. Then you had to line up a shot of the QR Code. Then it processed the photo and shuffled you into another app (web browser, perhaps?). Then, alas, you were privvied to whatever facts of life you needed (most likely some fluffy marketing BS). A first world problem, to be sure. But within the realm of usable technology, QR Codes weren't exactly convenient.